So you’d like to learn a bit about The Dobbins Team? 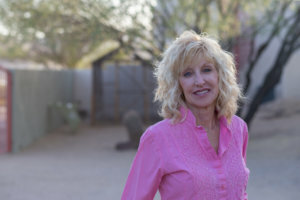 Liz Dobbins, a resident of the Phoenix area for over 39 years and a Realtor for 15 years, enjoys acclimating newcomers to the area. Liz moved to Scottsdale, AZ from New Jersey in 1980 and received her Baccalaureate Degree from Arizona State University. Liz Dobbins is very active in her profession and community. Liz Dobbins is a member of the National Association of REALTORS, Arizona Association of REALTORS and West Maricopa Association of REALTORS. If you are moving to the Scottsdale, Phoenix, Carefree, Cave Creek, Desert Hills, New River area or beyond, contact the Dobbins for useful information. The Dobbins Team is not limited to one area in Maricopa County, they go where their clients take them. They have expertise from Coolidge to Black Canyon City. Whether you are looking for property for sale, moving resources, school or mortgage Information, everything you need is right here. Have a question email Liz at [email protected] She would love to talk with you about real estate in the sunny Sonoran Desert! Search for Homes and Discover the Dobbins Difference! The Dobbins Team will help you find the home of your dreams by taking the time to listen and understand your needs and desires. Once your priorities are established, The Dobbins Team work tirelessly to find the right home for you. The Dobbins Team doesn’t stop until you find the home of your dreams. Why compromise when you are working on one of the most important investments in your life. The Dobbins Team’s expertise in the Scottsdale, Phoenix, Carefree, Cave Creek, Desert Hills and New River real estate market will help ensure that you get the best value for your property. 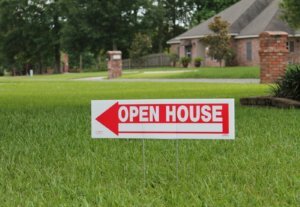 The Dobbins Team utilizes an internet marketing program to insure maximum property exposure for a sale in a timely manner and for top dollar. This website is a small portion of what they utilize in their online and offline marketing strategies for maximum exposure. The Dobbins Team doesn’t want to just list your home, they want it sold fast! Their personal record is an offer within one hour of listing and under contract within one day from listing on the Arizona Regional Multiple Listing Service. Liz is available for exceptional personal service by phone or email, so feel free to call with questions! Liz specializes in horse properties, acreage, golf and resort communities, new construction both custom and master planned community developments, first time buyers, second home buyers and investors. The Dobbins Team have many satisfied clients who would be happy to provide references upon request. The Dobbins Team only incorporates competent affiliates to assist through the whole home purchase process from inspections, repairs, title and escrow and financing for your new investment. The Dobbins Team are highly experienced with the negotiation of short sales and foreclosures, both listing and selling of these specialized properties. They are devoted to make your move as smooth as possible. Finding the right home is only the beginning. They work hard to ensure smooth sailing throughout the transaction and beyond. Your lifetime business and referral relationship is their ultimate goal. They know that buying or selling a home is one of the most important and therefore stressful events you will ever have. The Dobbins want to help make the home buying or selling experience as smooth and successful as possible. Thank you again for your visit to TheDobbinsTeam.com. Look no further. You have arrived to your one stop resource for buying and selling properties in the greater Phoenix area not limited to Scottsdale, Phoenix, Carefree, Cave Creek, Desert Hills and New River. TheDobbinsTeam.com is a superior source of real estate information. Please bookmark our site and visit often. It feels great to know that we are among the top local real estate agents in Scottsdale, AZ. Our website has a ton of resources that can help you search for your new home. Please visit our website TheDobbinsTeam.com as often as you would like. If you need representation or just have any questions at all contact us at 623.826.1981 for help. To find out what The Dobbins are about call today! Thank you for visiting TheDobbinsTeam.com. This is your complete real estate resource for up to date property listing information. 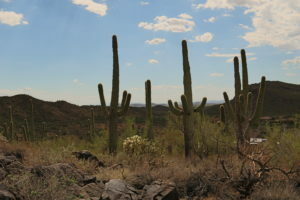 TheDobbinsTeam.com has been designed to be your Scottsdale, Cave Creek, Anthem, New River real estate resource. You will find links to pages with helpful information to answer your real estate questions. 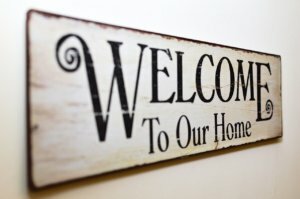 The Dobbins offer you personal, one-on-one, experienced assistance with your search for a new home or the aggressive marketing for the sale of your current home. For More information About The Dobbins Call Today!